HTC is to continue making phones for the foreseeable future, despite a new report from sources close to HTC who claim the company is preparing to sell its phone business. A spokesperson for HTC told TechRadar, “HTC strongly denies this rumor”. The claim began from a Chinese source who spoke with Chinese site MyDrivers, stating that the company wanted to drop out of the phone business so it won’t bankrupt itself. It would suggest HTC would be focusing on other projects, such as the HTC Vive. HTC has had a tough few years financially - the latest report in May said the company had dropped 64% of its sales in only a year. The rumored sale suggested the co-founder and chair of HTC, Cher Wang, would be ready to make the sale in spring next year, which would have meant we wouldn't see any news phones from the company in 2017. Whatever the case, HTC is firmly denying it will be selling its phone business in the near future, meaning we could still be on course to see the launch of the HTC 11 next March. Plus HTC just launched a new slightly-less-impressive version of the HTC 10 called the HTC Bolt in the US. So it doesn't look like the company is giving up just yet. 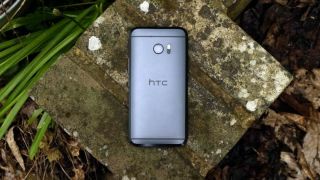 What could the HTC 11 bring to the smartphone market?